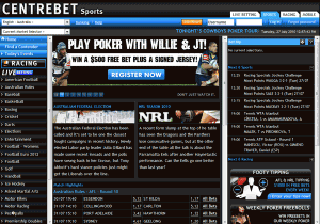 Centrebet is one of the few Australian betting websites. The bookmaker started its existence in 1992 in Alice Springs. Centrebet was the first bookie to get an Australian license and four years later, in 1996, became the first online betting provider in the whole Southern Hemisphere. In 2003, the business got acquired by the SportOdds group. Two years later, SportOdds.com, SuperOdds.co.uk, and Centrebet merged into a single website, keeping the name of the original. 2006 was the year the bookmaker got listed on the Australian Stock Exchange. Fast forward five years to June 2011. This date is when the company was purchased by Sportingbet. The transaction made the combined entity one of the largest operating online bookmakers in Australia. However, in March 2013 the group sold the Australian business to a large bookmaker in the United Kingdom. The company to acquire Centrebet and Sportingbet was William Hill. This giant has been around since 1934, so Centrebet is definitely in right hands. The bookie got involved in football and won the naming rights to Penrith Stadium. A month later, in February 2011, Centrebet started sponsoring the St Kilda Football Club. The website uses dark tones – dark gray, black and yellow. This combination makes betting easy on the eyes, especially in dimly lit premises. The left side menu contains some quick links and a list of over 20 different sports. This bookie is one of the few to offer to bet on e-sports like StarCraft 2, League of Legends and Dota 2. The middle section contains some highlights and the winning odds, and the right side menu shows the upcoming sports and races, as well as the bet slip. A large number of games are available to players. Football and basketball are just a part of the whole mix. The surprising thing here is, that Centrebet doesn’t offer any casino, poker or live table games to the customers. And yet, they are in the top 100 most visited bookmakers with just a sportsbook. This fact is an achievement by itself. The bookie offers betting options on sports and a large variety of racing events. The latter consist of horse, greyhound, harness and other various racing types. A huge plus is that the racing section offers live video and radio broadcasting of race meetings. I’m sure bettors will be happy to check it out. Live betting is also available in the sportsbook, ready to accept the best of the daring. As mentioned above, Centrebet is one of the few sports bookies to offer e-sport betting options. CS: GO, League of Legends and Starcraft 2 are a few of the covered games. For examples, the results of the bets for Counter-Strike now are taken straight from the Dreamhack (a currently on-going event) website. The odds markets that Centrebet offers are over a hundred per game, sometimes even going over 200. This is a staggering number of ways to place your money! The most popular markets are the score, draw no bet and double chance. Exact score payouts are the highest, sometimes going over to 501 to one for scores like 7-0 and 8-0. These results are unlikely, but not impossible. Recreational players will find the minimum bet of 0.2 EUR to be extremely acceptable. High rollers will not be left behind either – a 250000 AUD winnings limit per week is not something to fret over. The Centrebet customer service is up to par with the giants. After all, the business is now owned by William Hill. The friendly associates are available at all times, even on bank holidays. You can get the answers to your questions by phone, live chat, and email, with the last option being the slowest. The service is astounding, and every request is handled in a matter of hours. The customer service office can be contacted in the English language. The Centrebet online betting website is protected by a layer of SSL encryption, provided by VeriSign. The provider is trusted, so there will be no problems with hackers or data leakage. The deposit and withdraw methods are numerous and include all the main card givers and a large number of e-wallets. 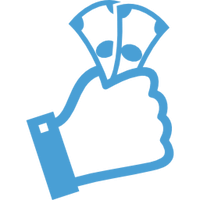 PayPal is one of the options, which is a rare sight in the betting sphere. The only transaction fee is 1% of the sum in the case of authorization need from an institution. Other than that, depositing and withdrawing money is free. Centrebet offers an enormous amount of bonus offers, mainly money-back options. The deposit bonus, however, is freely available to all new players. The bookmaker will double your money up to 200$, based on your first bet. This offer is quite bigger than most deposit bonuses other bookies offer. The refer a friend program is nicely developed, too. For any friend you manage to see to Centrebet, you will get paid 50$ in bonus money, free to use in any market you like. The more players you know – the better for you.